Just over two months since Thrift Radiates Happiness gave a first glimpse into the former Municipal Bank on Broad Street for over ten years and we went on a journey through time and space in an end-of-season Doctor Who episode cliffhanger, ahead of it's 50th Anniversary in November, the former Municipal Bank has gone through time and space itself in a digital music installation called Universe of Sound. 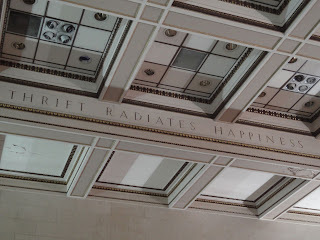 Thrift Radiates Happiness, which took it's title from the inscription carved across a main beam in the building, featured art projects focussed on finance and investment and the decaying grandeur of the former bank provided a fascinating contrast of money and decay. 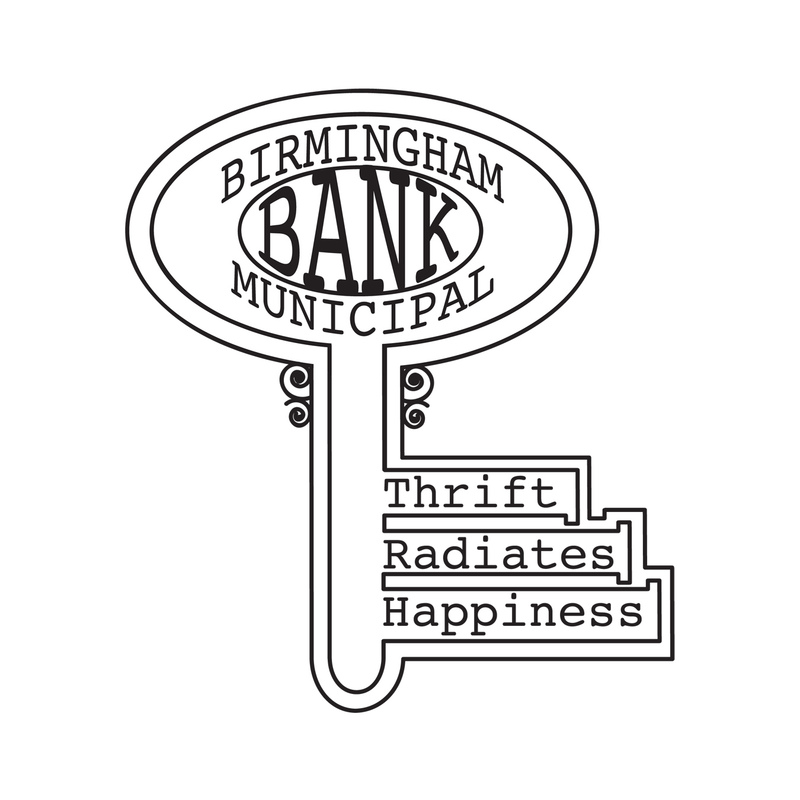 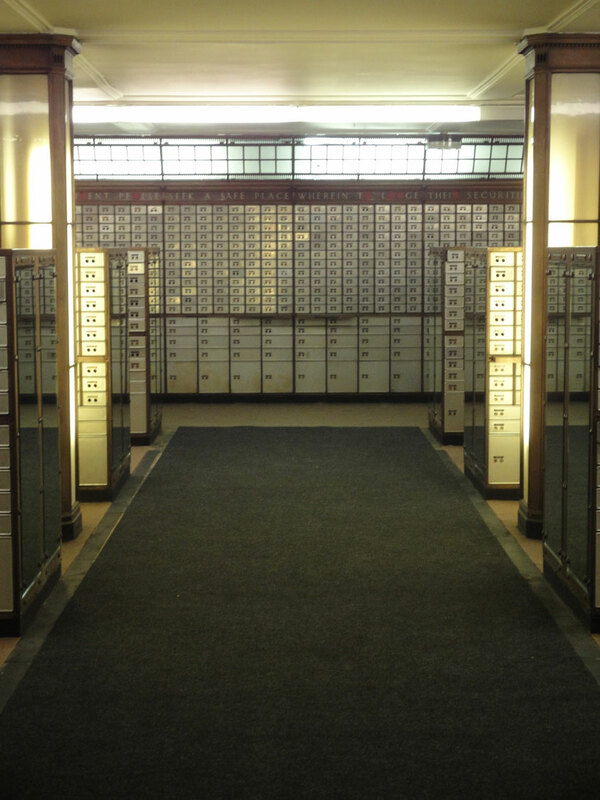 Visitors to the exhibition could invest £2 in a safety deposit box, investing in the city and fulfilling the promise on the bank's ceiling that thrift radiates happiness, gaining in return a limited edition print by one of the contributing artists and architects. 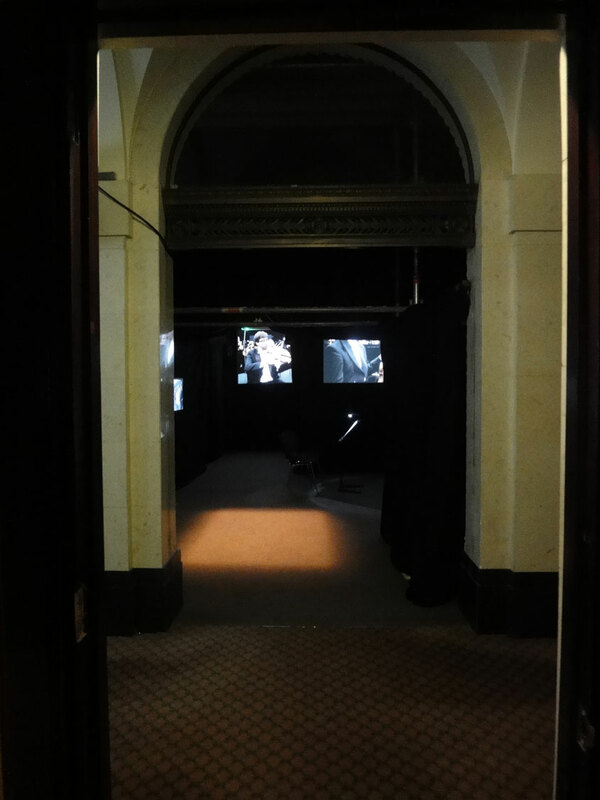 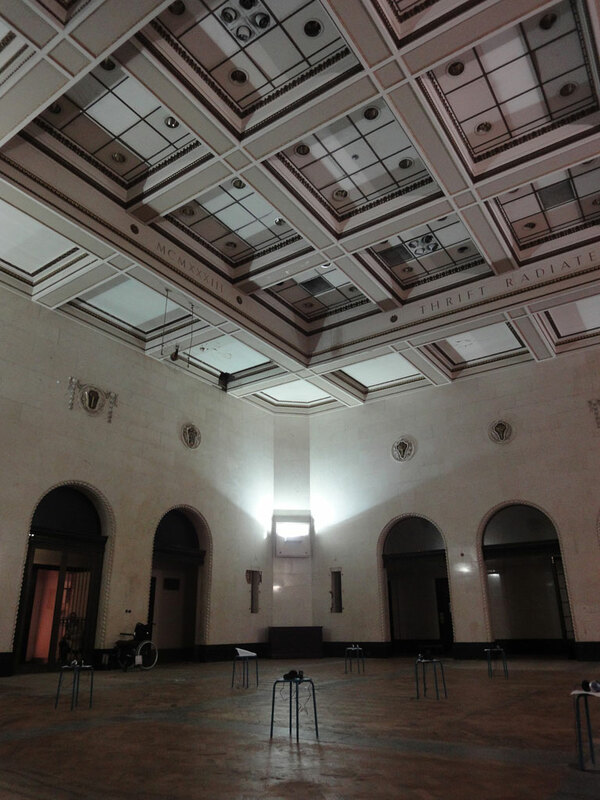 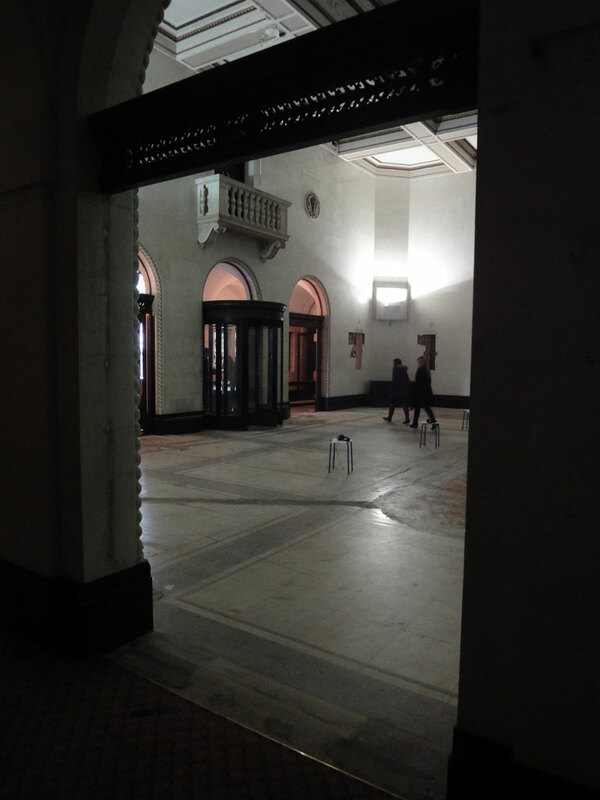 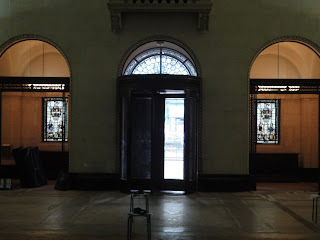 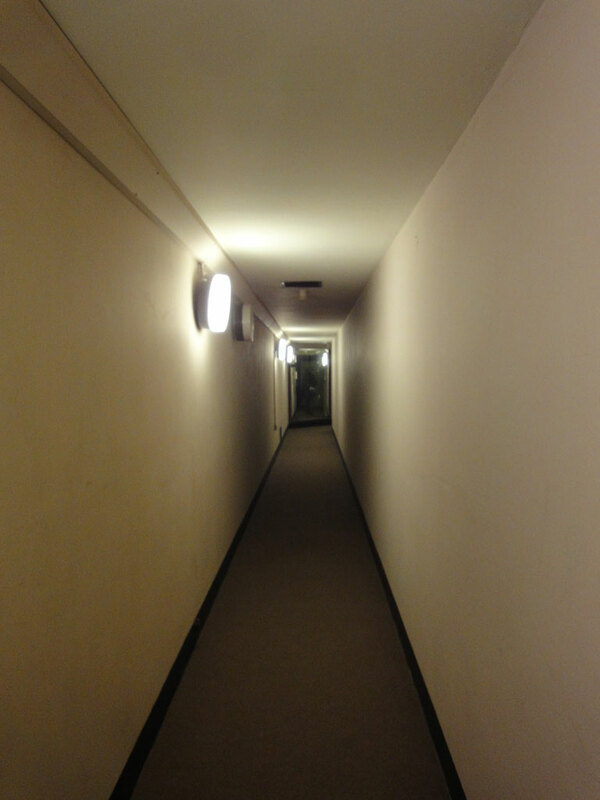 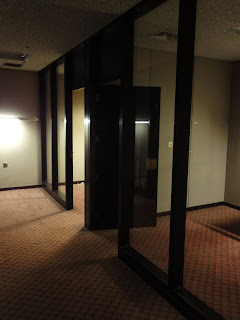 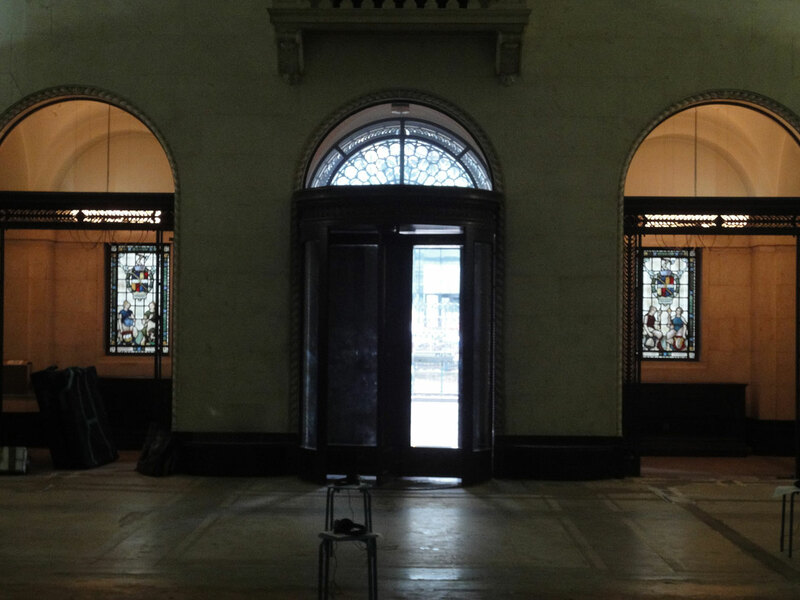 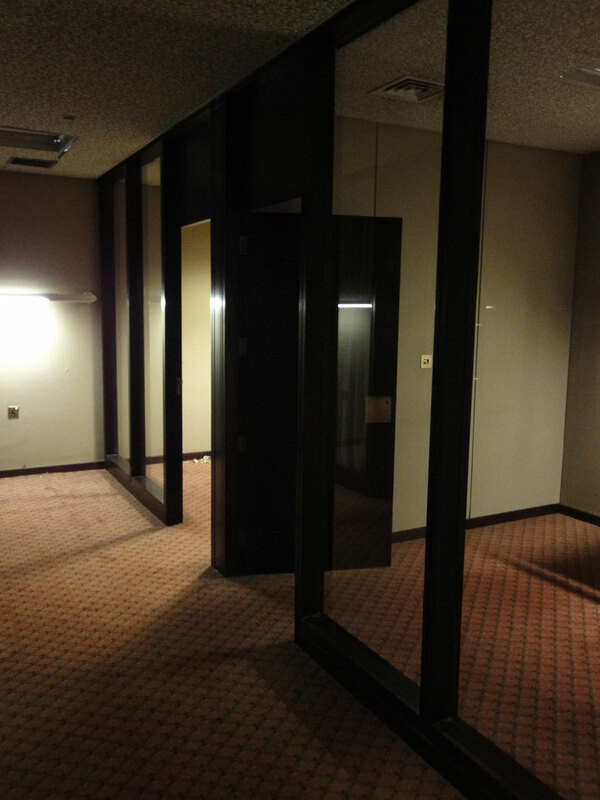 The exhibition's use of the building, forlorn but with the hint of former days of grandeur, provided a contrast on the role of money and decay and with the current economy and regeneration of Birmingham it provided an event which resonates with many visitors and the city overall. 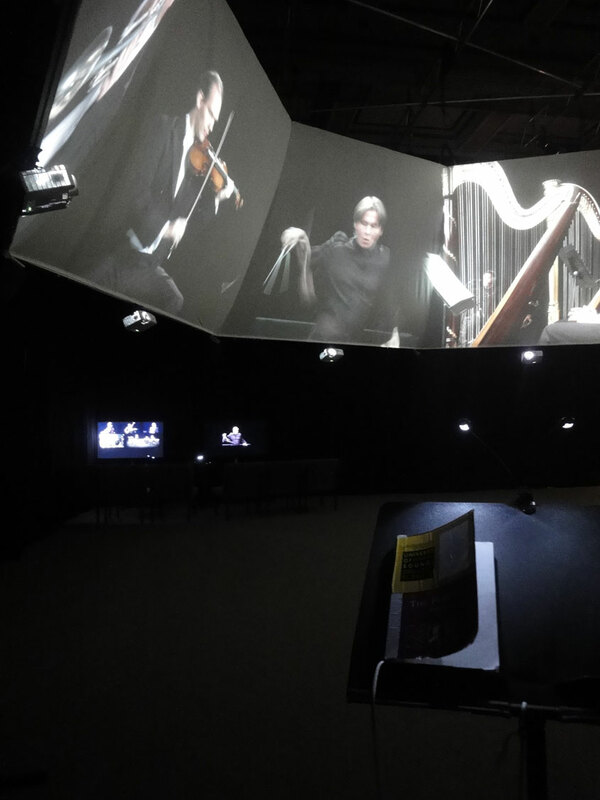 Universe of Sound: The Planets contrasts the exposure of the building in the Thrift Radiate Happiness exhibition with an immersive experience of time and space in a digital installation where the Philharmonia Orchestra takes on virtual form through the mixture of spaces and rooms so that you become part of the orchestra rather than just an observer. As you work your way through the rooms, sheets of music for each instrument allow you to participate, to imagine, taking your turn in the performance, and visitors are invited to bring instruments to play along. 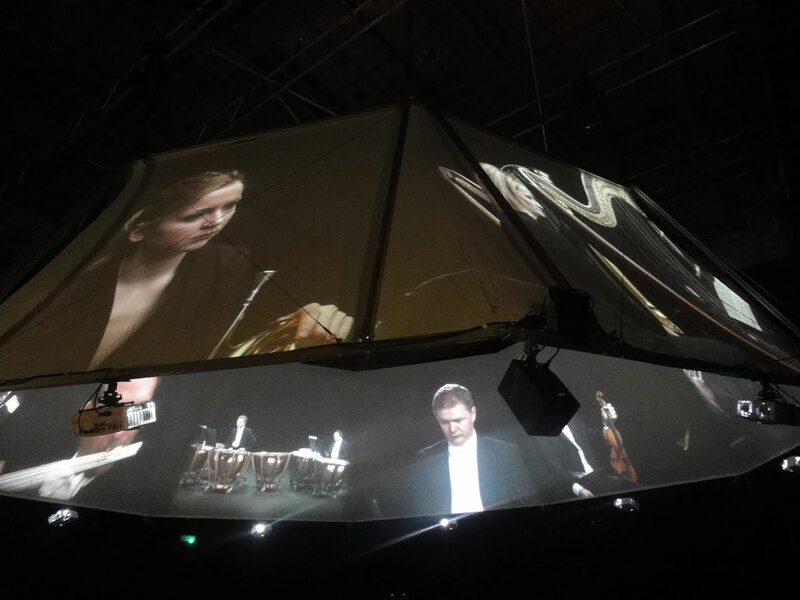 Using creative digital technologies you can learn about the roles of musicians and composers and practice your composing. 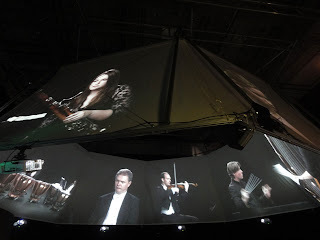 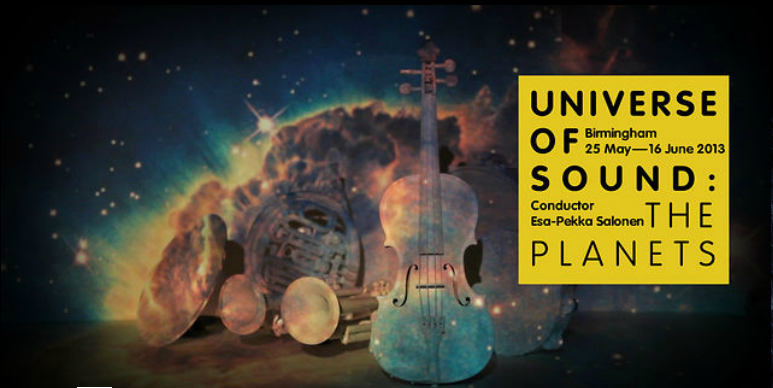 After you've made your way through the different instruments you emerge into a planetarium-style space with 360 degree projection which brings together the parts of the orchestra you've journeyed with and see and hear the 105 player orchestra performing Holst's The Planets, conducted by Esa-Pekka Salonen. 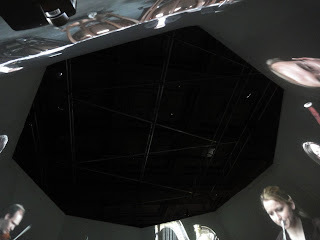 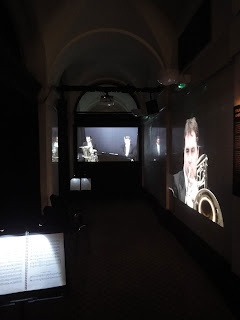 The premiere was presented in partnership with the Science Museum in London from May to August 2012 and will tour UK cities in 2013 before being developed for international touring. 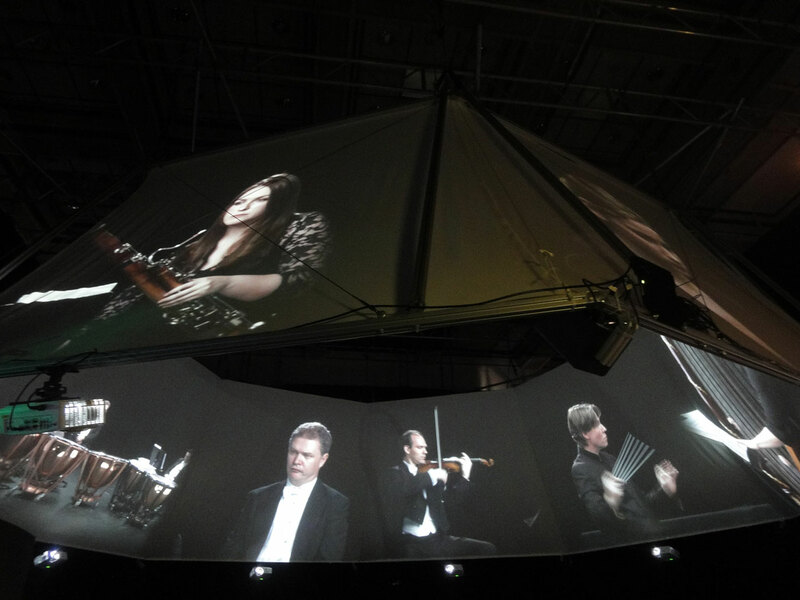 Alongside the performance there are a series of events, http://www.thsh.co.uk/universe-of-sound, including a family day, live orchestra performance of 2001: A Space Odyssey and performance of Holst's The Planets. 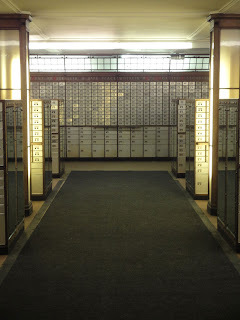 With the recent opening of the bank to the public there have been calls to secure it's future so the building is open to all of the city's residents. A decision by the Council on it's long term future is expected to be made later this year. 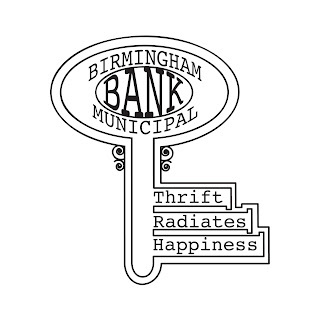 The Birmingham Municipal Bank was created in 1916 after a suggestion by Mr Chamberlain – most of the income made from it was to be used for financing the First World War. 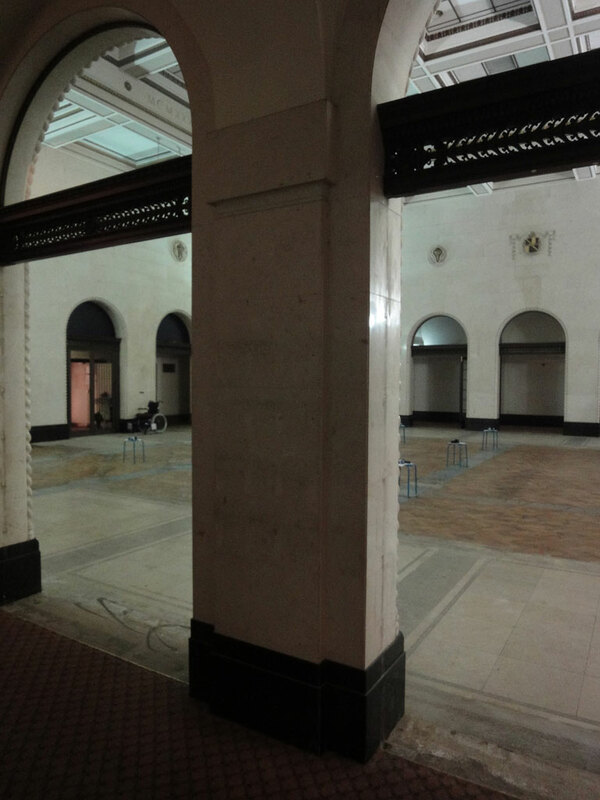 By the end of 1917, 30,000 city residents had signed up and it moved to its Broad Street base in 1933. 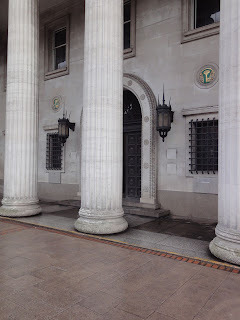 By 1950 the bank had 66 branches but in 1976 it ceased to come under control of Birmingham City Council, becoming a Trustee Savings Bank and was finally privatised in 1995, joining Lloyds TSB. 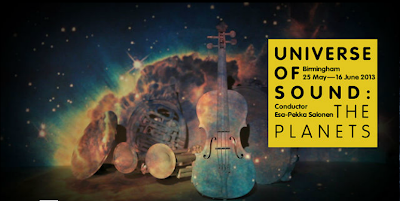 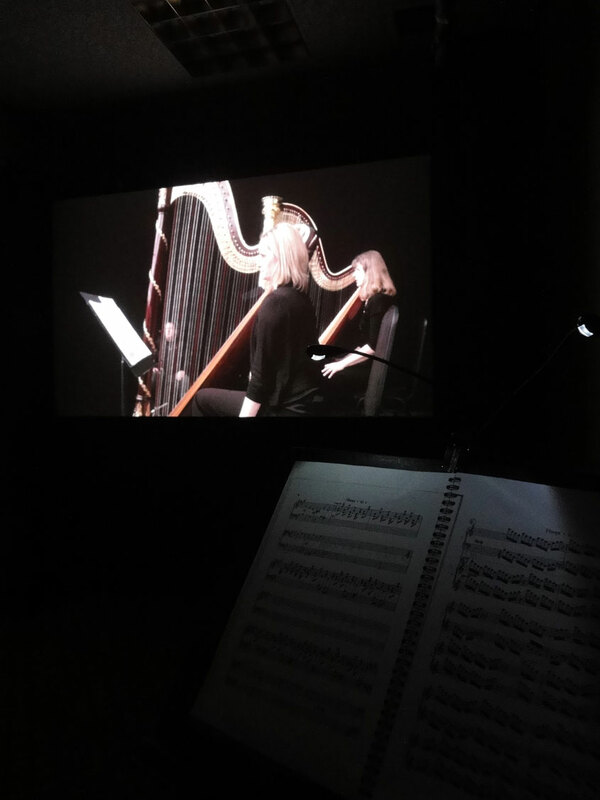 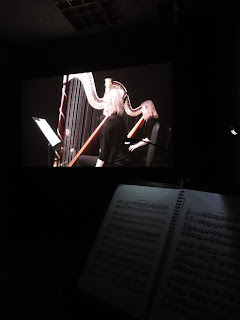 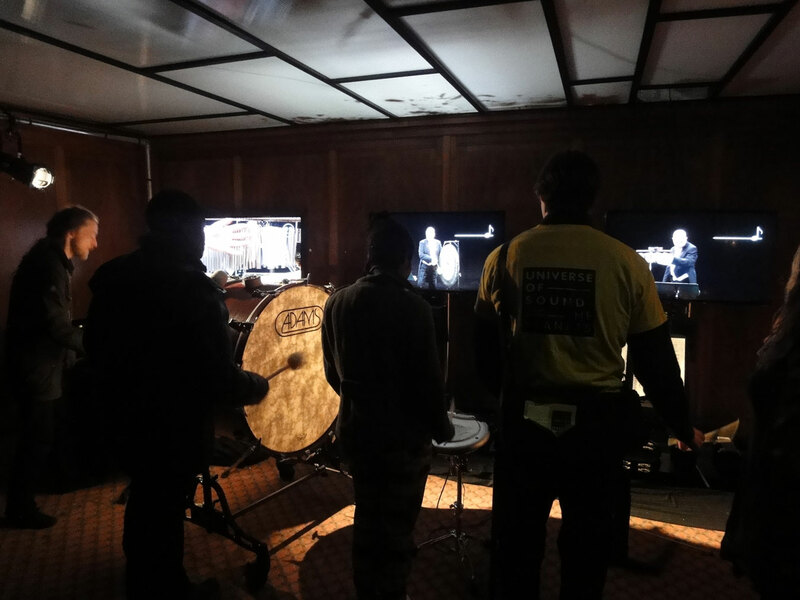 For more information on Universe of Sound you can visit Universe of Sound - Philharmonia Orchestra or explore the Town Hall Symphony Hall, Universe of Sound Digital Installation at THSH, where there's more information on the series of events. You can also follow #universeofsound on Twitter.